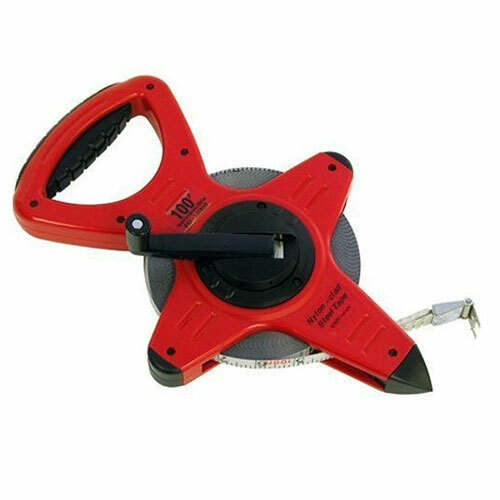 CST/Berger Pro-Line heavy-duty 100-foot Nyclad steel measuring tape with zip-line (3:1) rewinding open reel. Accurate, wear-resistant graduations in feet/tenths/100ths. 1⁄2" tape width. Type A end (loop end) zero begins 10” from end of loop. Type B end (hook end) zero begins at hook. 8 x 13 inches.